"A comedy about good friends and bad habits." 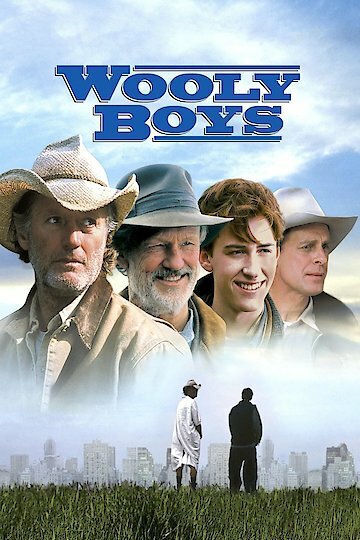 Most notable for starring Kris Kristofferson and Peter Fonda, Wooly Boys is an American family film about two sheep ranchers living in North Dakota's Badlands. Fonda and Kristofferson play very convincing gruff and sometimes grumpy but likeable old characters. Fonda travels to Minneapolis so can visit his daughter who he had not seen in many years. While there he is fooled by her into seeking medical treatment for a serious condition. Joseph Mazello plays Fonda's grandson who is a spoiled wirehead city kid who has never had a close relationship with his grandfather. When Kristofferson arrives in Minneapolis to spring Fonda from the big city, he and Fonda take the grandson back to the Badlands. Mazello's character becomes quite testy being stuck at a ranch with no access to the internet or his high tech life but grudgingly learns to respect the ways and wisdom of the two crusty sheep ranchers while crossing bonding and healing of three totally different generations. Wooly Boys is currently available to watch and stream, download, buy on demand at Amazon Prime, Amazon, Vudu, Google Play, iTunes, YouTube VOD online.